Drive the tow truck up and around the two levels of play using the lift, clean the tow truck at the car wash with the spinning brushes or get a service at the repair stand with moving spanner! 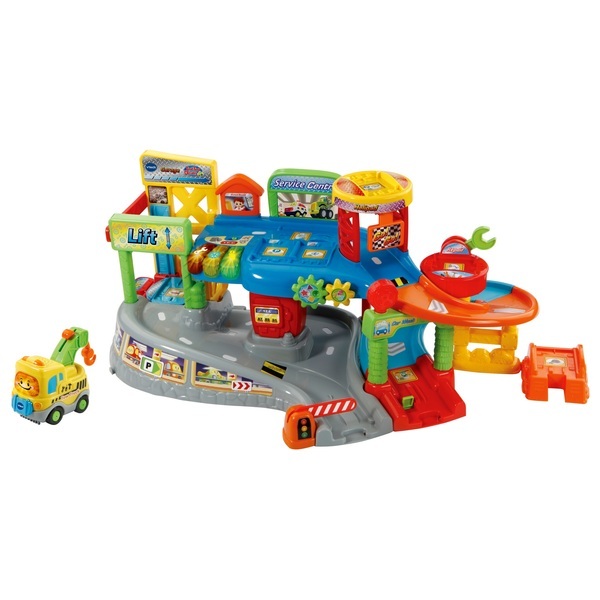 Interactive Garage play set includes a cute Tow Truck that features 3 songs and 6 melodies! Drive around the two levels of play using the lift, visit the car wash or get a service at the repair stand with moving spanner! Garage includes three chunky light up buttons and 9 SmartPoint locations.